Kaizer Chiefs promising starlet Nkosingiphile Ngcobo has been ruled out for the rest of the season. Ngcobo was injured in a league game against SuperSport United last week Friday. The 19-year-old went to see a specialist to determine the extent of the injury and Chiefs have now confirmed that Ngcobo has joined the likes of Itumeleng Khune, Erick Mathoho and Happy Mashiane on the growing injury list. “Ngcobo will be out for 6 months due to an Achilles Tendon injury, we wish him a speedy recovery and stand behind him,” read a message from Chiefs’ Instagram account. 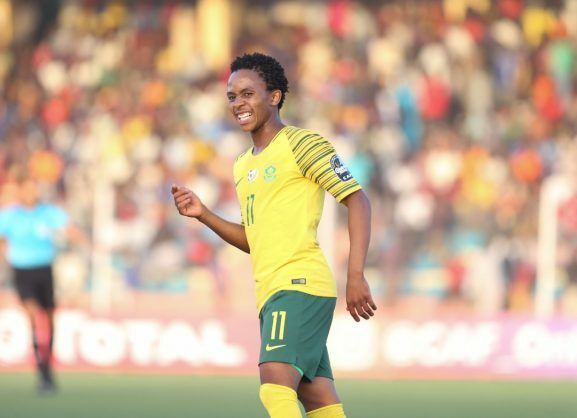 As a result of this injury, Ngcobo is set to will miss out on representing South Africa at the Fifa Under-20 World Cup later this year.